Much like the Samsung Gear Sport that it replaces, the new Galaxy Watch Active is a smartwatch with a big focus on physical activities and tracking user health, but it is more than just a name change. In fact, the Galaxy Watch Active makes one radical (and quite controversial) change to Samsung's established smartwatch design language. Namely, it removes the much-loved rotating bezel and relies entirely on touch for navigating the user interface. Gear fans may not be very fond of this change, but it allowed Samsung to come up with a refreshingly new and sleek design for the Galaxy Watch Active. It's perhaps the company's most minimalist, understated smartwatch design. Galaxy Watch Active pre-orders are now live, starting at $199.99, and there's a nice bonus included for the earliest of adopters. If you decide to pull the trigger on the new Galaxy Watch Active before March 7, you'll get a nice wireless charging pad alongside your purchase for free. The charging pad normally costs $59.99, so it's a nice incentive to get the device early on. This offer is valid for pre-orders in the US from February 21 until March 7. Users in the UK are seemingly getting a different freebie, though. Samsung's UK pre-order page for the Galaxy Active indicates that early birds will be getting a wireless battery pack, instead of a charging pad. 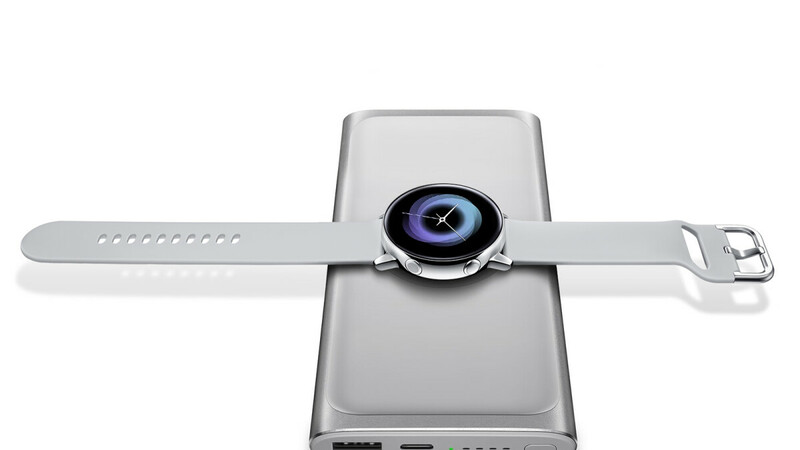 It's not yet available for sale on Samsung's online store, but it does support wireless fast charging and comes in Silver and Pink. If you're in the UK and are willing to drop £229.00 on the Galaxy Watch Active before March 20, you'll be getting your hands on one of those wireless battery packs.